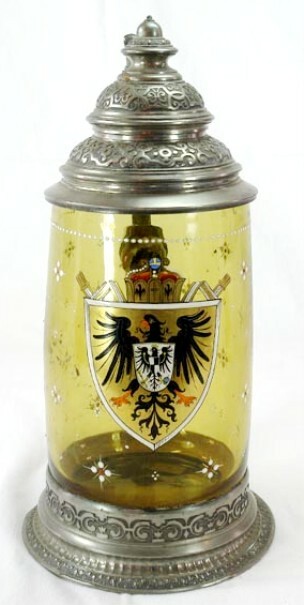 Below: The “IMPERIAL” EAGLE – TH’S unique design; This is not the “Prussian Eagle”; that eagle is on this eagle’s chest, indicating “Imperial Germany” arose from the State of Prussia. Newer style, also with larger dots. 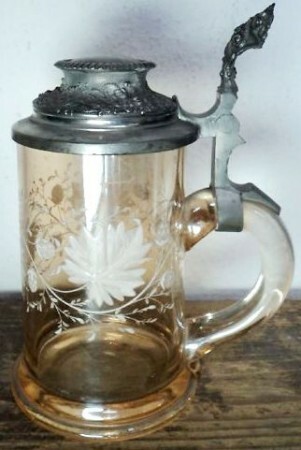 About 1890’s. 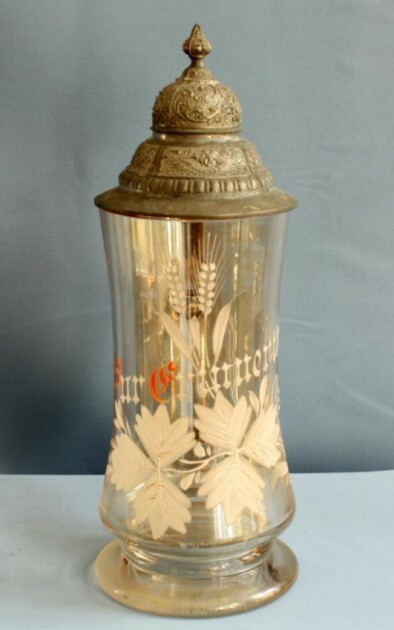 A van Hauten decorated stein. 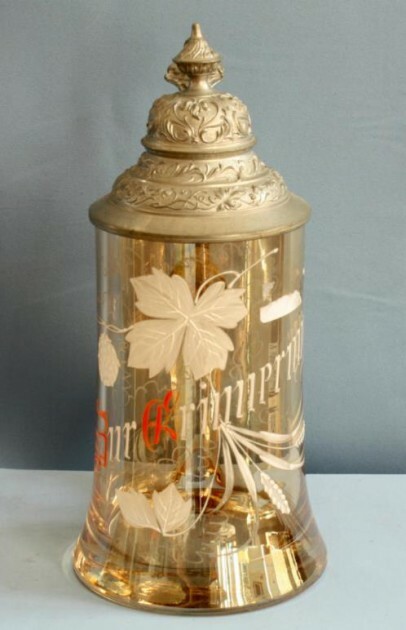 WHITE ENAMELING AND / OR RED FIRST LETTER WITH WHITE ENAMELING. Same design as above but no verse and on a different body. 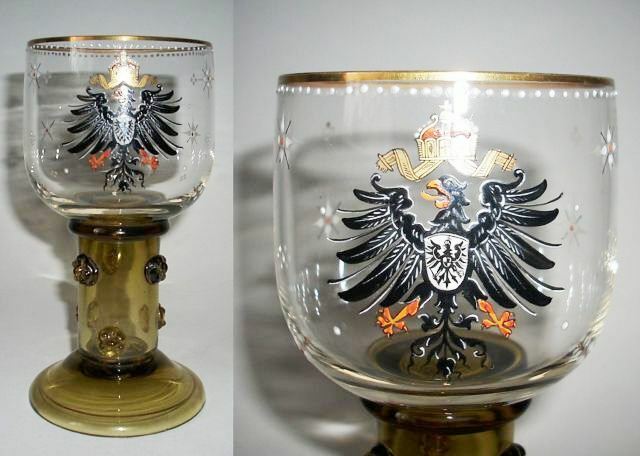 A pretty different colored glass arrangement, but definitely a Theresienthal stein. 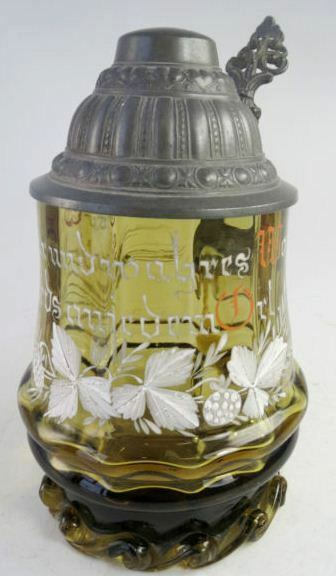 Above: White enameled design, with verse and red letters. 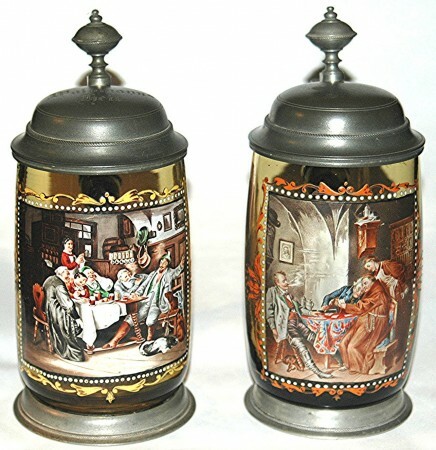 DeFREGGER [A TYROLIAN ARTIST] – COPIES OF HIS WORK, MOST ALL WITH A WHITE DOT BORDER AND SOME WITH HEAVY PEWTER BASES. 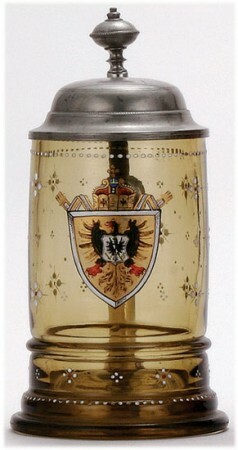 This stein has no tan and white framing around the picture, only the small white dots. 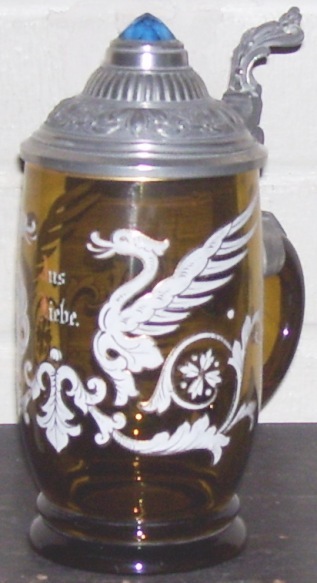 A better view of one above – left side . 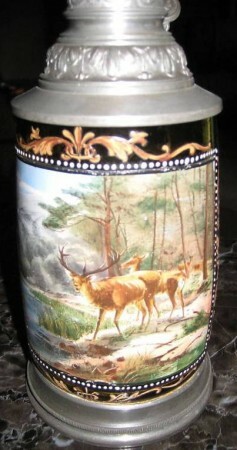 Also hand painted with white dot border, as the Defregger’s are. 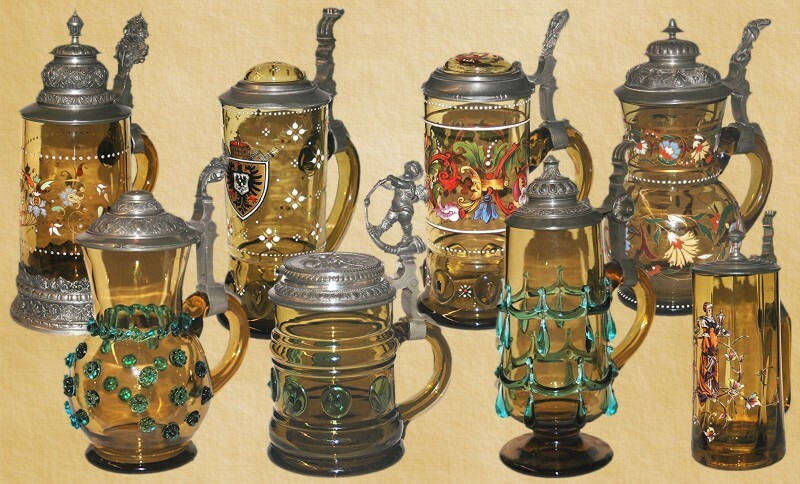 I am uncertain of the artist as other artist’s works were also used for these steins. 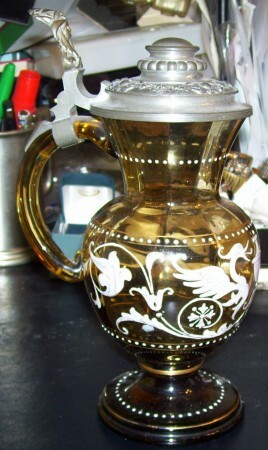 An unusual body shape, and it has the shown painting’s label. Please go to page 4.